Camera™ SelfTimer is an amazing new app for taking pictures. This is what your iPhone has been missing; a delay in shutter release allowing you to be fully pictured in all your photos. At the touch of a button turn your camera into a timer where you can comfortably position yourself in any photo or surrounding. The inbuilt beeping sounds will alert you by increasing in speed before the camera shutter takes the picture. With Camera™ SelfTimer, you will finally appear in your photos! Whether a casual shot in a country lane, an adventure holiday in the mountains. Never miss a picture perfect moment again. Simply, Set Time, Push, Pose, Beep, Enjoy & Share your amazing new photos. 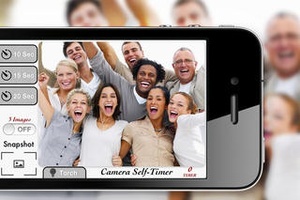 Choose between 10, 15 or 20 seconds of time, lay your iPhone on a flat plane and go in the frame with your friends! With the 3 Shoot Sequence the possibility that anyone have their eyes open is greater. InBuilt Torch Mode allows for any lighting conditions. ✓ Torch Mode ✓ 3 Shoots Image Sequence ✓ MultiDelay ✓ Last Shoot Preview ✓ AutoFocus ✓ Audio Beep Mode ✓ 10, 15 or 20 Sec. 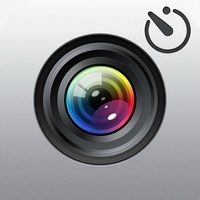 Timer ✓ Snapshot Preview ✓ Torch Mode Shoot unforgettable photos with Camera™ SelfTimer and show what your iPhone can really do with this fantastic application! We are committed to providing you with the best experience possible so if you have any problems, comments or feedback, please visit Aleksus support or email us directly at support@aleksus.co.uk, or www.aleksus.co.uk. We love to hear from you, so please do not hesitate to contact us. If you enjoyed this app, we would appreciate if you would rate this app 5 stars it would greatly help us improve future releases. 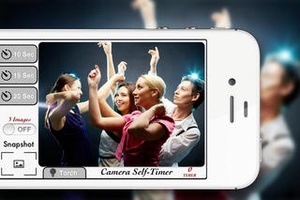 Check these links to find your download for Camera™ SelfTimer for & iOS or for your device iPod TouchiPadiPhone. 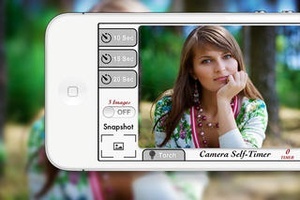 The app Camera™ SelfTimer is compatible with te following devices.